Earlier this month, New York Mayor Michael Bloomberg announced the first-ever “social impact bond” in the United States. The bond, between the city of New York and investment giant Goldman Sachs, will finance a behavioral treatment program for incarcerated adolescents on Rikers Island. Unlike a traditional revenue bond, a social impact bond will pay a dividend only if the target outcomes are met—in this case, that the recidivism rate among the youth treated falls by 10 percent. 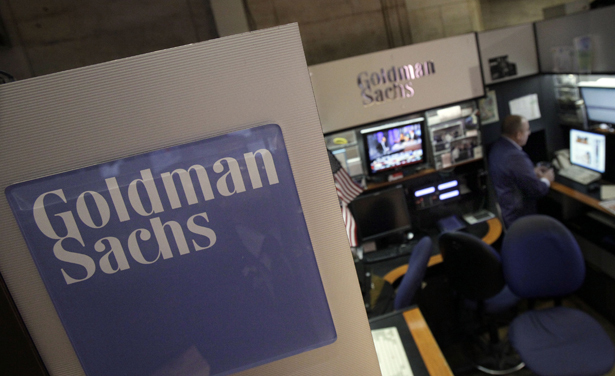 If it does even better, Goldman Sachs will turn a small profit—with the city footing the bill. The initiative is based on a program in Peterborough, England, which used a social impact bond to fund a program that also sought to reduce recidivism. But there is one big difference between the Peterborough program and Bloomberg’s. In Peterborough, the investors were a group of individuals and charitable organizations, including the Rockefeller Foundation. (The results of the Peterborough experiment remain inconclusive). In New York City, the investor is a profit-driven private company that has a track record of making huge returns on other people’s financial troubles. To sweeten the deal for Goldman Sachs, Bloomberg has arranged for his foundation to guarantee most of the bond, allowing Goldman Sachs to face almost no risk. “This is not coming out of Goldman’s foundation, this is coming out of the investment side of their house. When they approached this, they looked at it from the perspective of meeting their standards of entering into an investment,“ Deputy Mayor Gibbs said. Even if they don’t offer the same cost-cutting incentives that education or healthcare privatization does, social impact bonds stand to create a false equivalency between the impact of a social program and money saved. While evaluators will control for other influences in evaluating the program, statistical change alone may not fully capture a program’s impact. An intervention that is beneficial to teenagers’ lives might take years to develop and might never hit the reduction that will bring the desired savings on corrections. Meanwhile, the nonprofits that are administering the program are stuck in the uneasy position of desperately needing funding, with very little options for whom to turn to. “At the moment, the people seem to believe that the government shouldn’t do anything, and that the private sector can do everything,” said Elizabeth Gaynes, executive director of the Osborne Association, one of two nonprofits contracted through the bond to treat incarcerated youths. “I believe in big government…but it is very difficult to convince this government to spend tax money on unproven programs.” After Osborne applied for funding, the city presented it in the form of the social impact bond. Gaynes explained that because of the attention being paid to the project, and the high stakes for its success, it has received preferential treatment compared to other nonprofit programs. “The city wants it to succeed, so they’ve removed a lot of the barriers that happen when you try to do a program in jails,” she says. According to the agreement for the bond, Goldman will have no direct role in evaluating the program. But if social impact investments become larger in the future, the stakes will be higher. After all, the payback mechanism is more than just a token gesture. If Goldman was looking to simply shore up its image, it could easily have given the city a large donation (and promptly written it off its taxes). Instead, by making the investment, it has shown its interest in tapping into this expanding market. Let’s be real: a $9.6 million investment is a drop in the bucket for the investment bank, which has received massive tax breaks from New York City, including a $1.65 billion tax-exempt bond to build its luxury office building in downtown New York—on which it immediately received $115 million in tax breaks. At first glance, private funding might seem like the only viable solution for new public programs during the recession. But the city has hardly exhausted possibilities to raise more revenue through taxes—a financial transaction tax might help—and has lavished generous tax breaks on the corporate world. In a quiet move with no public input, Bloomberg has laid out a blueprint for greater corporate control of the public sector.